Ever wanted to live inside a painting? Here’s your chance, courtesy of the Art Institute of Chicago. 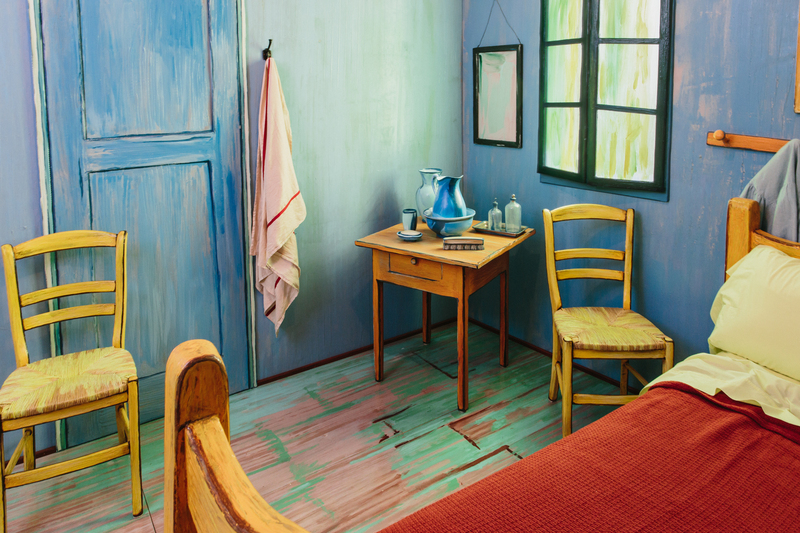 To promote an upcoming exhibition on Vincent Van Gogh’s three “Bedroom” paintings, the Institute worked with designers to create two three-dimensional installations meant to mirror the appearance of the artist’s bedroom in Arles. Van Gogh painted his bedroom at 2 Place Lamartine in Arles, Bouches-du-Rhône, France, three times. The first version, painted in October 1888, belongs to the Van Gogh Museum in Amsterdam; the second, painted in September 1889, belongs to the Art Institute of Chicago; and the third, also painted in September 1889, belongs to the Musée d’Orsay in Paris. The Art Institute of Chicago worked to install a recreation of the bedroom in two places. 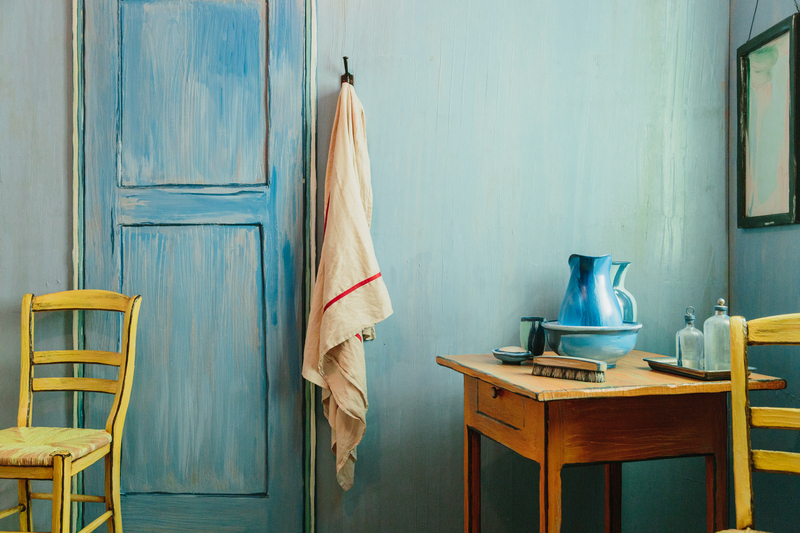 The first, a to-scale replica of Van Gogh’s actual bedroom, will appear at the exhibition and will be open to visitors. The second used Van Gogh’s paintings as a viusal model, replicating the artist’s color, texture and detail in a Chicago apartment. Designers from Ravenswood Studio worked to create the room over the course of a month. 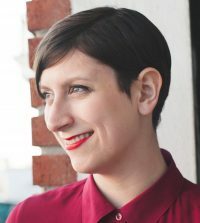 Now, it is available on Airbnb for $10 a night. I’m charging $10 for no other reason than that I need to buy paint. However, I will be happy to provide you with tickets to my exhibition at the Art Institute of Chicago. The room will be open for bookings during the exhibition from Feb. 14 to May 10. The Institute will announce on its social media platforms when it is releasing reservations for certain blocks of dates. This exhibition will show all three paintings of what the museum calls “the most famous chambre in the history of art,” looking at how the idea of home influenced Van Gogh throughout his career. It will include 36 works by Van Gogh in total, including drawings, paintings and letters. “Van Gogh’s Bedrooms” will appear from Feb. 14 to May 10 at the Art Institute of Chicago, located at 111 S Michigan Ave, Chicago, IL 60603.